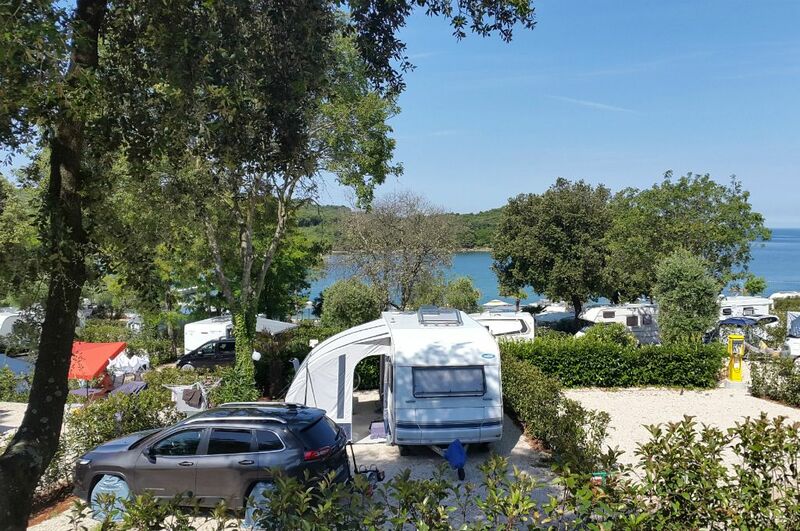 The pitches are located on the seashore and then gradually ascend toward the nearby fields and vineyards, a large number of pitches are located in the natural shade of the Mediterranean vegetation and all of them, with their size and equipment, ensure perfect comfort when camping. Come and enjoy the sunset in the first row to the sea! 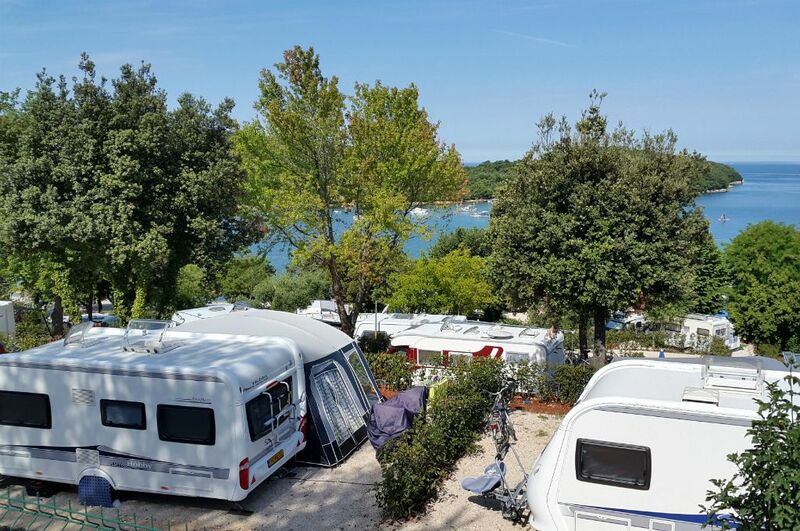 PRESTIGE MARE SUPER pitches are situated in the first row from the sea. Their size is between 90 and 140 m2, they have electricity, water and drainage connection, are marked with numbers and fenced with a green fence. 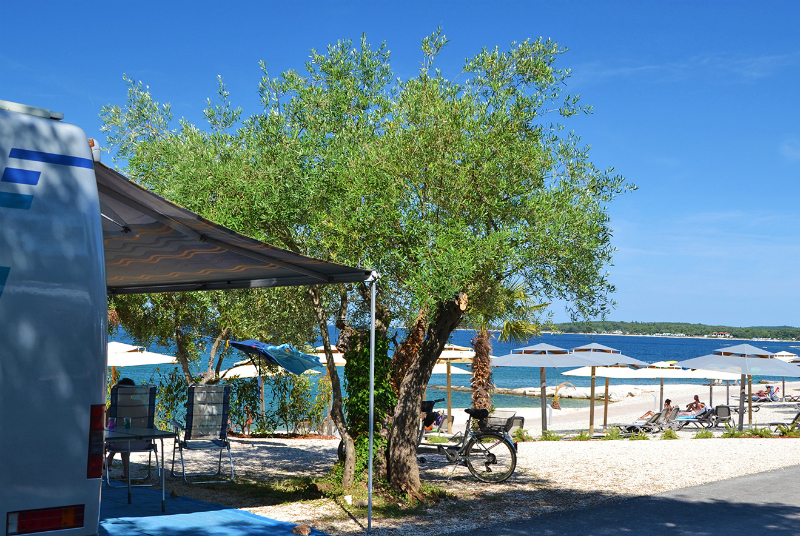 PRESTIGE MARE pitches are situated in the first row from the sea. Their size is between 90 and 140 m2, they have electricity connection, are marked with numbers and fenced with a green fence. LUXURY MARE pitches are situated at the waterfront. Their size is between 90 and 140 m2, they have electricity, water and drainage connection, are marked with numbers and fenced with a green fence. 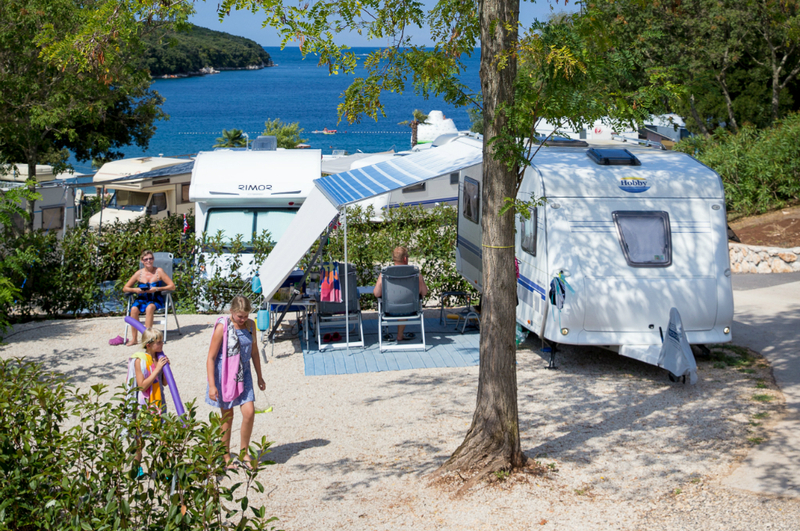 PREMIUM pitches are situated 50-100 m from the sea. Their size is between 90 and 140 m2, they have electricity, water and drainage connection, are marked with numbers and fenced with a green fence. COMFORT pitches are situated between reception and laguna/pool. 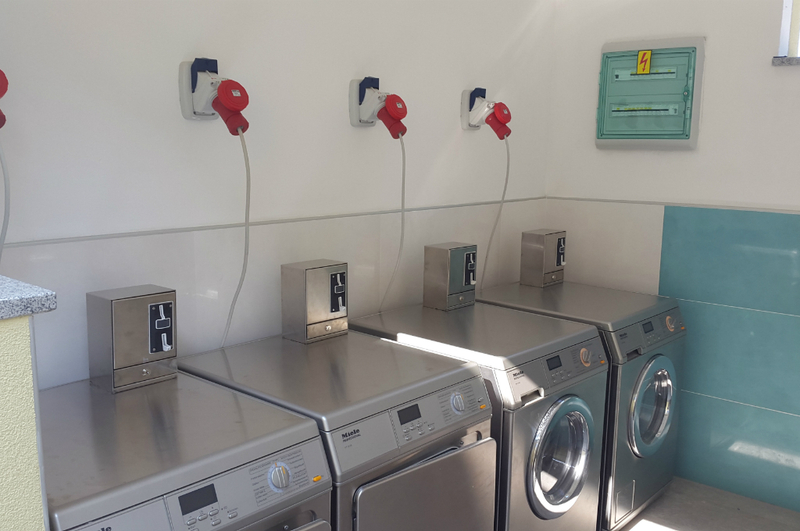 Their size is between 90 and 140 m2, they have electricity, water and drainage connection, are marked with numbers and fenced with a green fence. 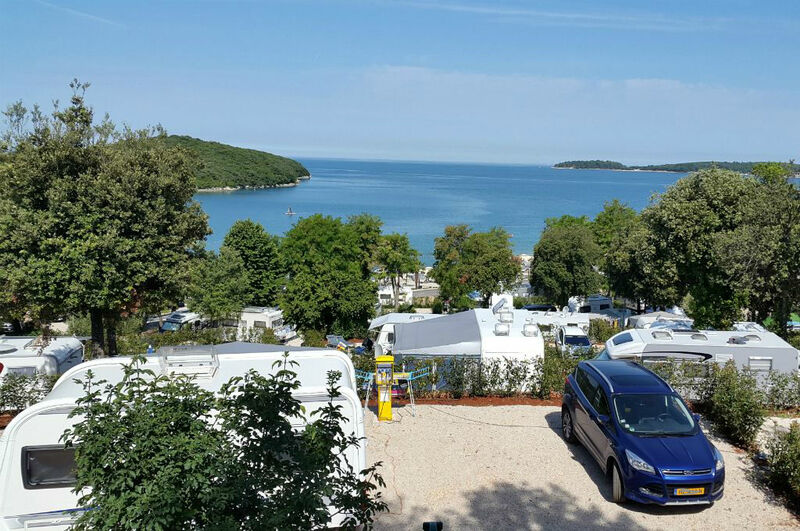 STANDARD camping place are situated 400 m from the sea and also near to the reception. Their size is between 80 and 120 m2, they have electricity connection, are marked with numbers and fenced with a green fence. 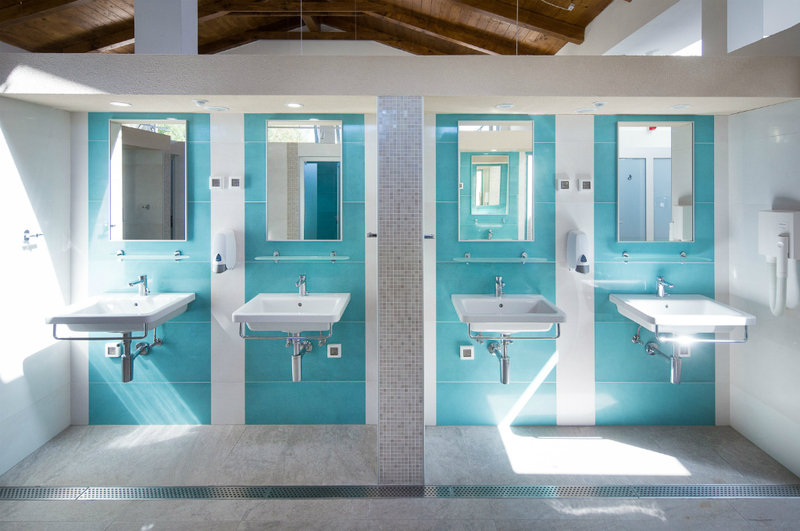 sanitary facilities spread throughout the campsite, equally distributed from the pitches. 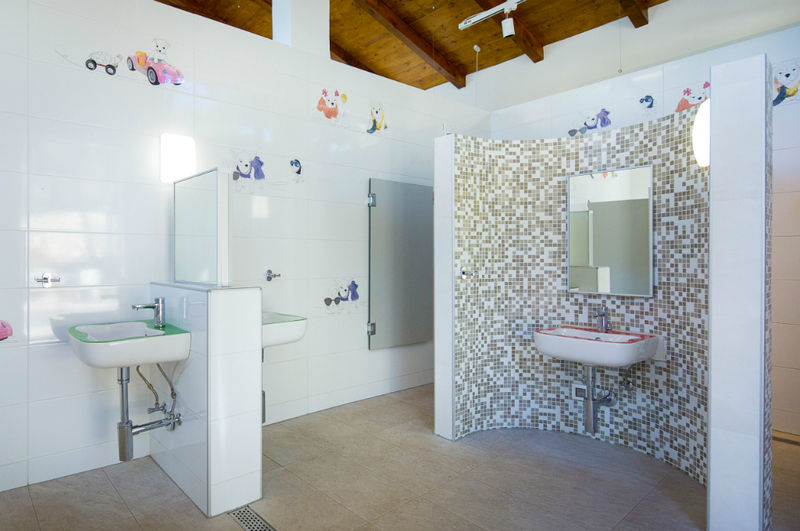 Along with the standard high-quality equipment, you will also find children’s sanitary facilities and baby changing rooms, bathrooms for persons with special needs, laundry rooms (washing machines, clothes dryers), dishwashing rooms and rooms for emptying chemical toilets. 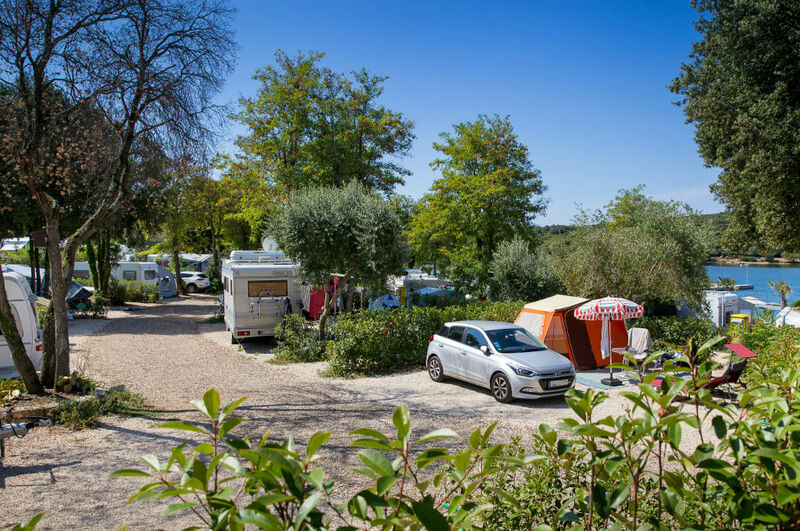 Departure: Pitch must be vacated until 13.00 hours and guests must leave the campsite with their vehicle, otherwise they will be charged one more day. When vacated, the pitch must be neat and clean. 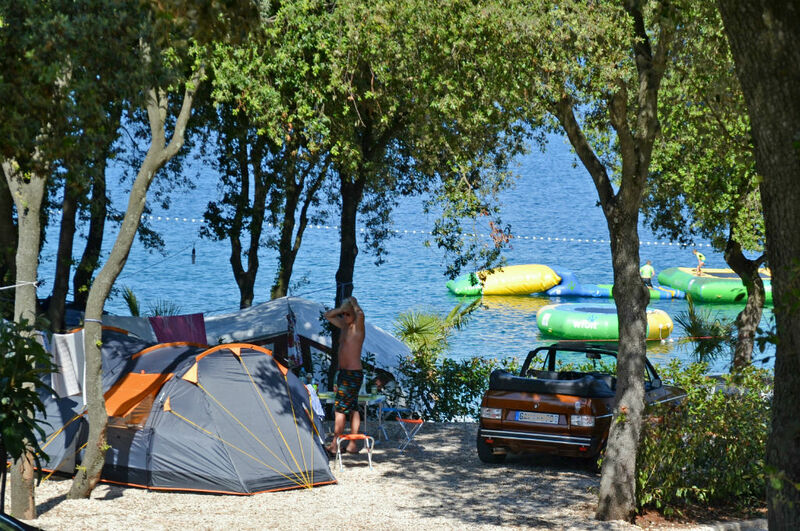 The guests travelling before 7 a.m. are obliged to leave their vehicle in the parking lot in front of the campsite before midnight the previous day. 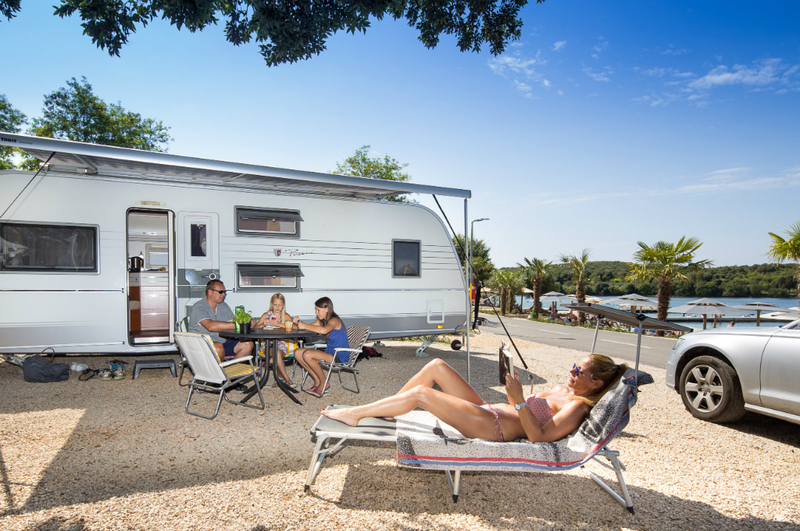 Special offer: 5 % reduction on the price for pitch for a stay longer than 14 days in a period till 25.05. or from 24.08.2019.